Sitting outside in the backyard getting some sun, I couldn't help think about my poor dogs roasting away. After turning on the sprinkler and putting them into a fit of terror, I couldn't help but wonder if there's a company out there that specializes in making swimming pools specifically for dogs. Read on and find out! One Dog One Bone has captured the swimming pool market for dogs. Sure, you could try to place a plastic kid's pool in your backyard, but if your dogs are like mine, they'll dig and chew until it no longer holds water. 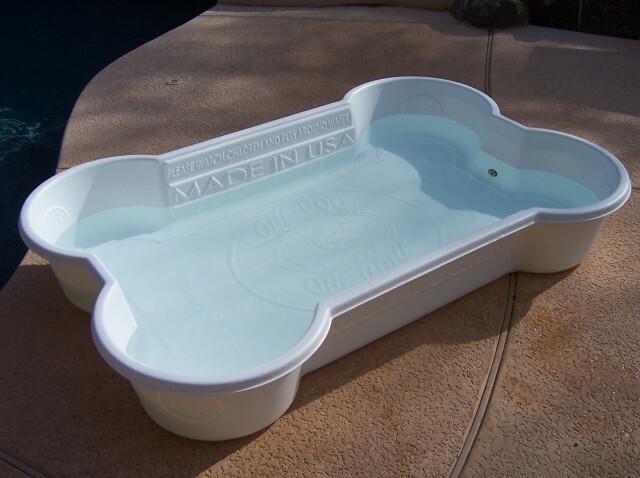 What makes One Dog One Bone's dog pools different is that they are indestructible, literally as tough as nails! Of course, it's a case of you get what you pay for, and these pools don't come cheap. 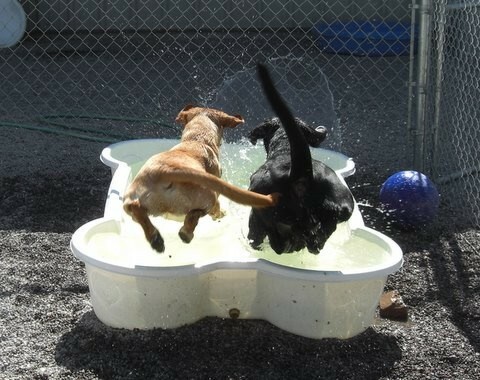 But how can you resist doggie pools shaped like bones or paws for them to swim in to refresh themselves on a hot summer day? And whoever said there isn't a business out there for everything? You can read more about the One Dog One Bone pool and read reviews about their product here on Amazon.